Being a truck isn't easy. Help protect it against wear and tear. Durable, high-density nylon carpet. Dealers-installed. 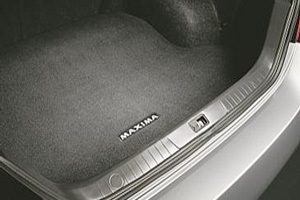 Features Maxima. Non-slip, moisture-resistant backing.. This product replaces 999E3-MW000.